I’m currently in Dallas and have been following the whole LA Galaxy vs. FC Dallas game with some amusement. Oddly, FC Dallas are already planning a way to refund some or all of the money from yesterday’s game to disgruntled fans. With the psuedo-communist structure of MLS, I’m sure that refund money will be heavily subsidized through the league and / or the LA Galaxy. Look at it this way, Beckham’s arrival has put so much money in the MLS’ pockets that having fans moan for a game or two while he’s injured won’t make a dent. 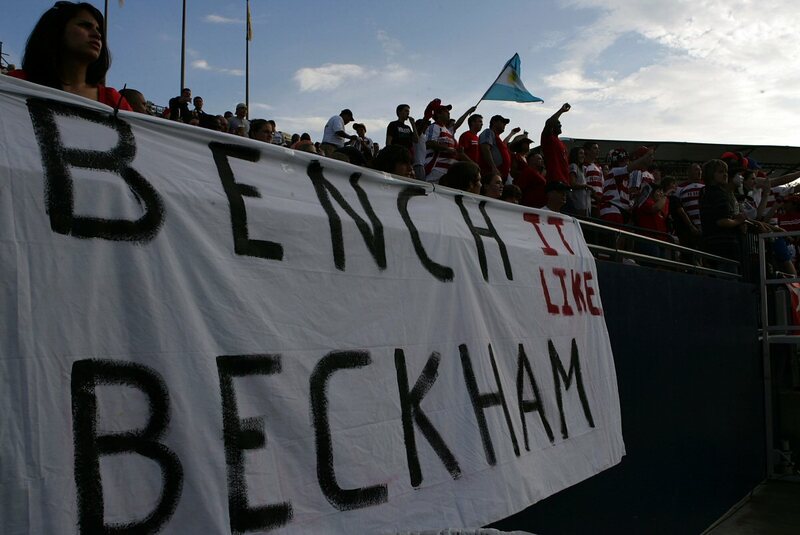 I can’t believe that people actually go to matches just to watch Beckham play. It’s not like he’s as exciting to watch as C. Ronaldo, Ronaldinho, Ronaldinho etc.